Broadcaster Red Symons has delivered a touching on-air eulogy to his son Samuel, who died of a brain tumour two weeks ago at the age of 27. “Samuel, I have always loved you. I will always love you. I shall always have you,” the former ABC Radio Melbourne breakfast host said on 3AW. Samuel was first diagnosed with a brain tumour at the age of four and in 2010 shared his experience of reaching adulthood with Australian Story. He passed away after months of treatment for another brain tumour diagnosed in 2017. Symons paid tribute to his son’s determination and intelligence. “He was remarkable in his own way,” the broadcaster told Neil Mitchell. “At four years old you sort of come to terms with the fact that he’s not going to be here. “Twenty years later, he’s got a masters degree. He was the most qualified person in the family. “Part of the treatment, one of the dangers, is that it can inhibit your intellect. Symons said that in the weeks before his death, he had asked his son how he felt about death. “That’s the nature of his involvement with Peter Mac,” the broadcaster said of his son’s advocacy for other cancer patients. Symons expressed his gratitude to the specialists who cared for his son over many years of treatment. “Thank you to the Children’s Hospital, the Royal Melbourne, the Peter Mac for doing what you just simply do,” he said. “There is no better place in the world to get sick than Melbourne, Australia. He also thanked members of the public who had sent messages of sympathy. “I have received condolences from complete and utter strangers which overwhelmed me… sincere thanks to them,” he said. At the time of Samuel’s death, his mother Elly Symons said in a statement that her son left a “shining example to us all” in the way he responded to illness throughout his life. “The courage and strength he displayed over 23 years was simply inspirational. “His dignified humility in the face of adversity was a lesson to us all. Victoria’s Health Minister Jill Hennessy gave Samuel a volunteering award in 2018 in recognition of his advocacy for cancer patients. 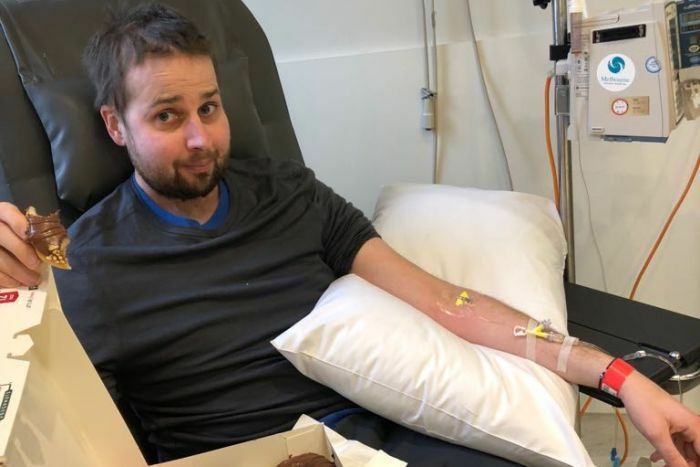 “Samuel Symons never once wavered in his determination to make the lives of fellow young Victorians with cancer just that little bit easier,” Ms Hennessy said in a statement at the time of Samuel’s death. Is It Time to Remove the ‘Star’ Labels from LaMarcus Aldridge, DeMar DeRozan?